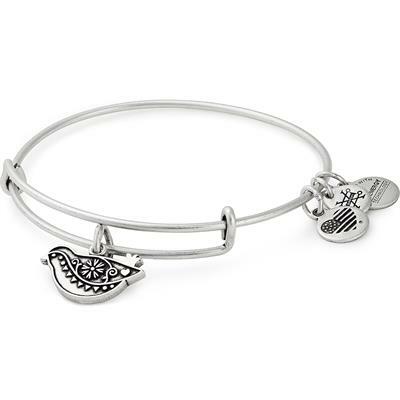 This beautiful expandable wire bangle by Alex and Ani features a dove shaped charm with a pattern engraved inside the little bird. The dove symbolises prosperity and reminds us that home is where we flock to. This makes it the perfect gift for a family member or loved one. Wear this bangle alone or as a stack, to add fun and glamour to any outfit!